During the hot summer days and evenings, the restaurant of Art Hotel Simona invites you into its cool and newly renovated garden with 30 seats. 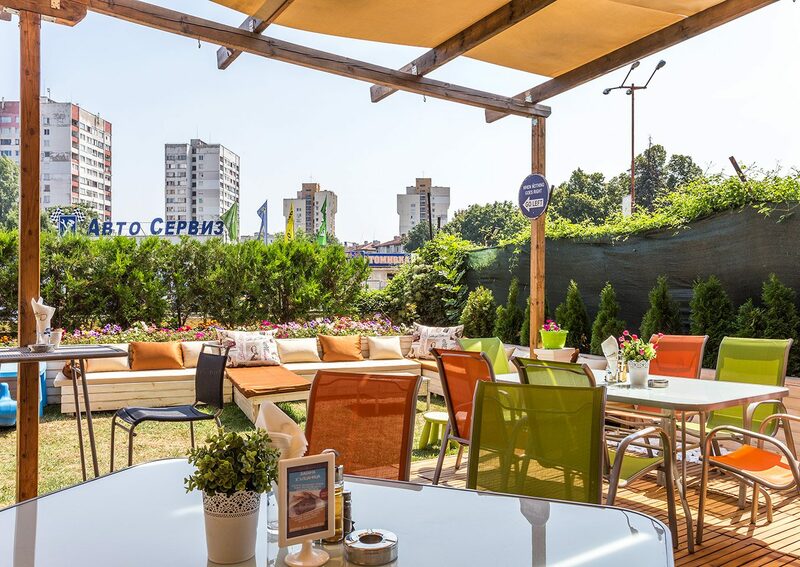 Located 5 minutes away from downtown, “Simona” Reastaurant in Art Hotel Simona invites you to celebrate your birthday, wedding, corporate party or dinner with friends to indulge in a chic atmosphere, plenty of dishes selected from around the world, a variety of wines. The restaurant is open non-stop. It has two rooms, a heated winter garden and summer garden. For your convenience are provided free Wi-Fi internet access and parking. There is a separate smoking area also. “Simona” Restaurant, decoreted with soft pink and pastel colors, creates a relaxing atmosphere, conducive to privacy, so necessary in the big city . We have 90 seats for special guests and special events. You can take advantage in our summer garden, which is separated from the road by a green barrier. The garden has a separate children’s playground for fun of the kids.